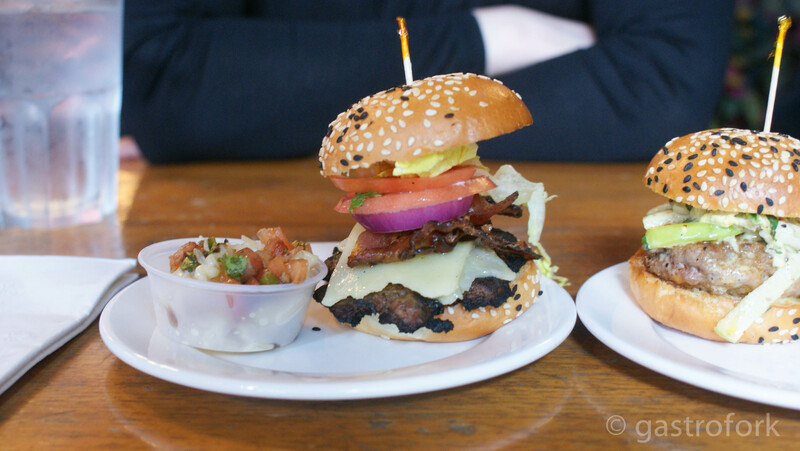 So, we were lucky enough to be chosen to try out the Philips Air Fryer which is recently released in Canada! And when I say we, I’m saying almost every contributor has given it a shot. You can see the results of Liane’s project here and here. Philips Air Fryer uses “Rapid Air technology” which uses hot air to cook the items inside the cooking basket – it uses little to no oil and does more than just ‘fries’ it also bakes and grills. It seems like food gets cooked much faster in this as well, but maybe it’st just me. So I tried two recipes with the air fryer and I’m planning one more really soon. To kick off my experience with the air fryer, I tried making Onion Rings. This was by far, the best idea ever. 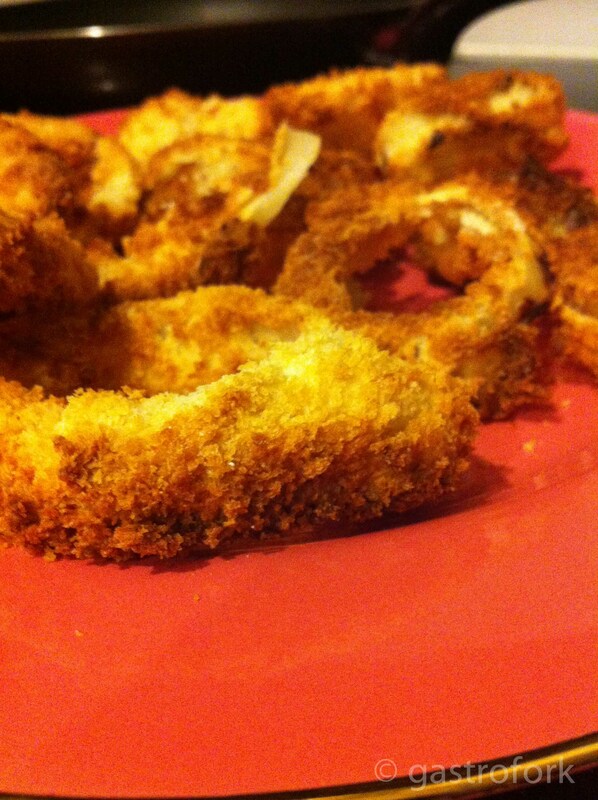 The onion rings I made were crispy and flavourful without being bogged down by grease. 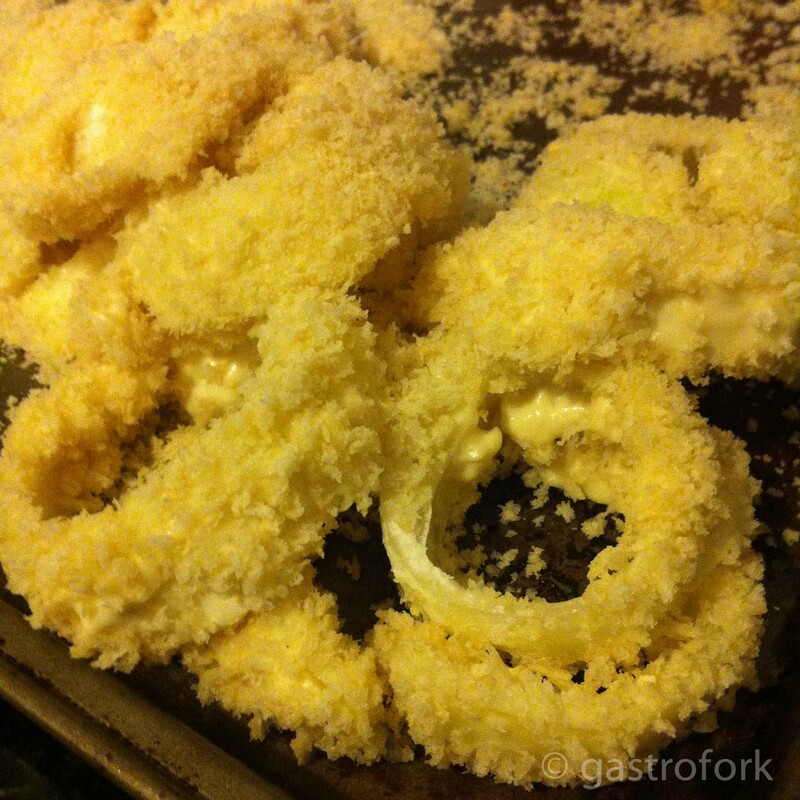 Here is the recipe to make Old Fashioned Onions Rings that I adapted from AllRecipes.com for the air fryer. 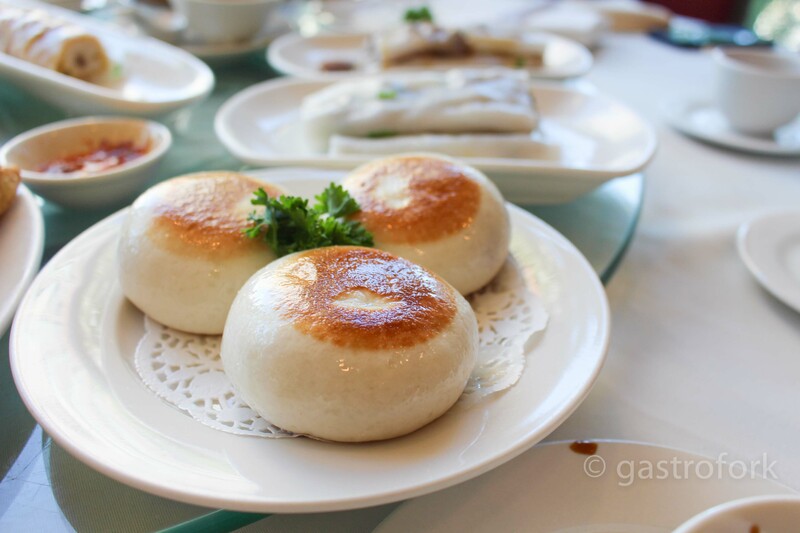 If you don’t have an air fryer, you can still make these at home! 1 quart oil for frying** if you do not have an air fryer. 1. Pre-heat the Air Fryer for about 10 minutes. 2. Separate onion slices into rings. 3. Stir together flour, baking powder and salt in a small bowl. 3. Dip onion slices into flour mixture until they are all coated. Set aside. Whisk egg and milk into flour using a fork. 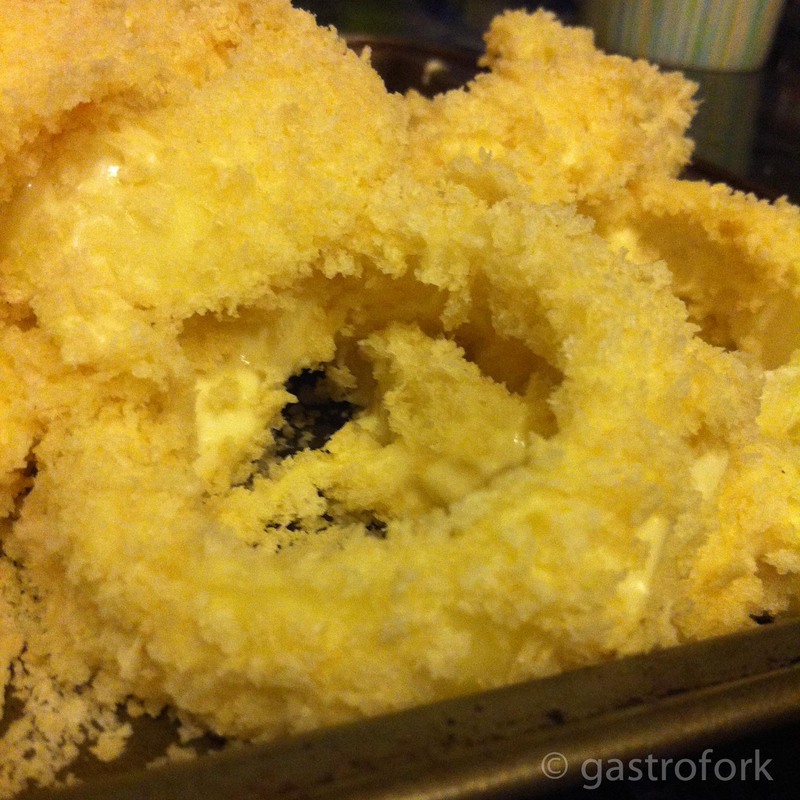 Dip the floured onion rings into the batter to coat. 4. Spread bread crumbs on a plate or shallow dish and dredge the rings into the crumbs, making sure it’s all covered. 5. Place all the onion rings into Air Fryer and cook for 7-10 minutes at 360F, you can pop it open to check for doneness. I cooked mine for 10 minutes and it was a little dark. 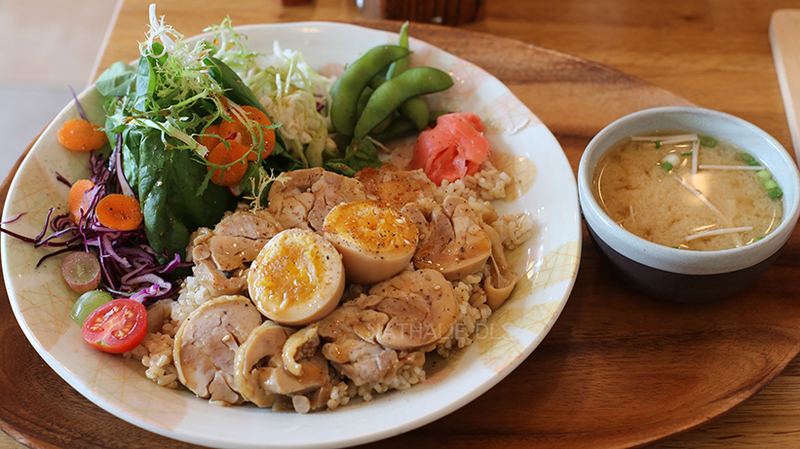 This was so good, I’d definitely make it again! For more information on the Philips Air Fryer, check out their website here. Check out my unboxing video for the air fryer below! Apple Rose Pastries Beauty and the Beast Inspired Food!